We’ve been successfully exterminating Fresno rats and mice from homes and businesses since 2001. We know what preventative measures to put in place after we exterminate the nests. Get a free termite inspection and don’t let your infestation spread. Protect your home with our proven termite control programs. We provide professional commercial pest control for your business, restaurant, hotel, warehouse, and more. Call today to speak with a commercial exterminator specialist. Scurrying in the walls? Tapping in the attic? Droppings in the garage? You have a mouse or rat infestation. Call us immediately for a free rodent inspection before the problem gets worse. Call (559) 382-7300 . Bed Bugs can carry diseases and some people have serious allergic reactions to their bites. Once bed bugs enter your home they reproduce very quickly. They travel from place to place in luggage, furniture or on people’s clothing. We take care of fleas year around. If you have pets and live near bio hot spots (beaches, ranches, fields, parks) there are likely flea eggs throughout your house. We know the perfect solution to kill all the fleas and their eggs in your home as well as preventative measures to prevent them from spreading again. If it’s a pest, we can get rid of it. We handle extermination for a variety of insects including ants, spiders, wasps, termites, cockroaches and more. Give us a call today and the size of your home and we’ll give you a quote immediately. From Sacramento to Fresno and the East Bay! Official Pest Pros is a local preventive pest control business serving all of the Central Valley from Sacramento to Fresno, to the East Bay Area of Vallejo and Concord. We have been providing local residents the best commercial and residential pest control since 2000 throughout California. We are expert pest exterminators on all kinds of pests including ants, termites, flea, rodents and offers animal trapping for wildlife animals. Providing Military discounts to our veterans and active serving! We are fully bonded and insured, which means you do not have to worry about accidents happening during the project. However, Official Pest Pros believes in zero injuries and property destruction as we prioritize safety with our services. Call us today to get a free quote. Official Pest Pros started as a small company with few employees. Our loyal customers began recommending our pest control services, and we quickly expanded our business. We started in 2000 in servicing houses in central and northern California, and now we are providing quality pest control to neighboring cities. Our company now offers commercial pest control services, industrial pest control, full line of lawn and weed control services, tree and shrub fertilization and insect control, pigeon exclusion, and gopher, mole, and ground squirrel control. The reviews and success from our customers has given us the chance to grow our company. We will continue to expand to service the greater portion of Oakland and San Francisco Bay areas, as well as other location in the central valley – Visalia, Fresno, and Bakersfield. What makes us different? We prioritize prevention. 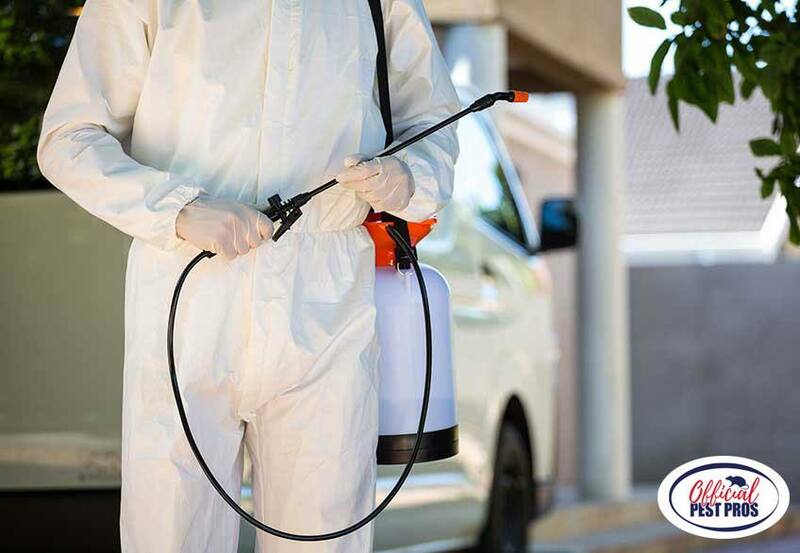 Crafted over 2 decades of extermination, our methods not only removes pests completely from your home or business, include preventative measures to prevent more pests from nesting again in your home. We will provide an inspection of the building and after the inspection we will work with our customers to develop an effective plan to eliminate their pest. Plans start as low as $49.99. Book us an appointment today! Our working hours are Monday to Friday 9am – 5pm. Looking for quick, fast, professional pest control in Kingsburg? Here at Official Pest Pro we are a local pest control company whose sole purpose is to permanently eradicating pests that infiltrate your Central Valley’s home or business. We offer same-day solutions to accommodate your busy schedule. Call Official Pest Pros today at (559) 382-7300 and schedule your free estimate starting as low as $49. Our Kingsburg team of exterminators will control, eliminate, exterminate, exclude, or remove whatever’s bugging you at your home, business or school. We are a highly reviewed and establish local exterminators in Fresno County and Kingsburg. We prioritize your health and respect your home, and most of all, don’t stop coming until all your pests are eradicated! We remove all pests including rats, mice, cockroaches, fleas, ticks, mites, mosquitoes, wasps, bees, bed bugs, ants, spiders, silverfish, termites, bats, birds, and many more! CALL NOW FOR YOUR FREE QUOTE!! Pricing starts as low as $49. Proudly serving residential and commercial properties in Kingsburg and the great Central California for nearly 2 decades. Expect Dependable, professional, thorough service from a professional pest control company who’s Licensed, bonded, insured. We won’t leave until your pests are gone! Call for your free termite inspections and ask about our preventive maintenance tips. HABLAMOS ESPANOL, LLAMEN POR UNA QUOTA!! Empieza hoy por $49.00. Inspecciones por los termitas son gratis! License: SPCB PR 3637. We service all of Kingsburg including Fresno, Clovis, Kerman, Fowler, Sanger, Selma, Kingsburg, Reedley and Parlier. Do you hear scurrying in the walls? Tapping in the attic? Droppings in the garage? You have a mouse or rat infestation. Call us immediately for a free rodent inspection before the problem gets worse. 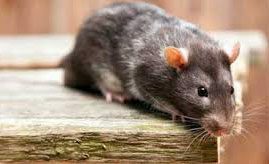 We are a Kingsburg pest control company serving California residents and business for nearly 2 decades specializing in rodent removal. If you have a rodent, then lets get them out as fast as possible. Rats and mice can cause significant damage to your property, bring in disease, and they are hard to catch on your own. Let us do the hard work to safely catch the rodents and prevent their return. Whether you’re looking for rat removal, or a mice exterminator, give Official Pest Pros a call immediately to schedule an inspection. It takes years of industry knowledge and experience to provide Kingsburg, CA, residents with the most effective means of pest removal. This is why homeowners and business owners in Fresno County, continue to trust and return to leaving pest exterminator to highly trained professionals at Official Pest Pros for decades. Little bugs, big problem! Fresno County and Kingsburg are known for having issues with ants, wasps, and termites, among other small insect infestations. Fortunately, we can provide the professional experience, equipment, and preventative services to get rid of termites, ants, wasps, and most insects that are invading your home, or place of business. Give us a call today to schedule your free inspection. Our rates start as low as $49/mo. No contracts or hidden fees. We provide the best removal and preventative programs at affordable rates. The cost to our health and home simply isn’t worth it. Call now before your pest infestation gets worse for dependable, local service. Do you wake up with red marks in a line across your torso, neck or arms? These are common signs of bed bugs. Bed bugs are small, extremely difficult to visibly see insects that feed on blood during the nighttime hours. Yes that’s right, mammal blood! They prefer to feed on people who are sleeping, as this allows them to feed easier without being disturbed. Official Pest Pros bed bug control experts are trained to find the bed bugs, no matter where they hide, and then provide a comprehensive solution that will eliminate them at all life cycle stages. Stop the itching and the worrying, call us today for bed bug treatments across Kingsburg, CA. Official Pest Pros started as a small company with few employees. Our loyal customers began recommending our pest control services in California, and we quickly expanded our business. We started in 2000 in servicing houses in northern California, and now we are providing quality pest control to neighboring cities. Our pest control company now offers commercial pest control services, industrial pest control, full line of lawn and weed control services, tree and shrub fertilization and insect control, pigeon exclusion, and gopher, mole, and ground squirrel control. The reviews and success from our customers has given us the chance to grow our company. We service the entire Central Valley from Fresno to Sacramento, the east bay of the San Francisco Bay area, as well as other location in the central valley – Visalia, Fresno, and Bakersfield. © 2018 Official Pest Pros. All Rights Reserved.